Our campsite’s location in the Vendée between Saint-Jean-de-Monts and Saint-Gilles-Croix-de-Vie. The perfect base for your holiday in the Vendée to explore Saint-Hilaire-de-Riez, its bay and surrounding sea resorts. Our route tool to our campsite will help you prepare for your trip to the Vendée from your home town ! 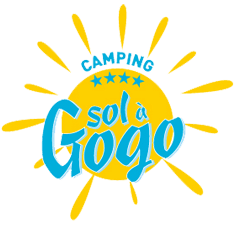 New in 2019 : Campsite Sol A Gogo is being renovated !